One of the most common and often one of the worst allergies in humans are peanut allergies. Being allergic to peanuts is not the same as being allergic to all nuts. They all have separate and unique symptoms. A peanut allergy can be very dangerous. It’s believed that about .04-.06 percent of the population are allergic to peanuts. People with peanut allergies must be very careful not to consume anything that contains whole peanuts, peanut particles or even peanut oil. Anything peanut related can cause a dangerous allergic reaction. To anyone who has a peanut allergy. In some cases the allergic reaction can be as severe, as a life threatening condition. In the most severe cases of a peanut allergic reaction a person may experience anaphylaxis, which requires immediate emergency treatment. Other symptoms of a peanut allergy, may include, nausea, vomiting, severe abdominal pain, hives, and asthma. There is no concrete cause for a peanut allergy, and the reasons why some people react to peanuts, is unknown. Most studies show no real pattern of why people experience a peanut allergy; however this is some evidence that it might partially be genetic. There have been many studies on people with peanut allergies, but it still is a mystery, for the most part. Like many allergies there are degrees of allergic reactions. In mild cases, a person may experience a stomach ache, a runny nose, tingling in the lips, skin rashes, or hives. Some reactions are more severe. A person may experience a severe case of diarrhea, vomiting, tightness in the throat, hoarseness, or severe belly pain. These symptoms may be within a few minutes of eating peanuts or peanut related products, or it may develop hours after consuming the peanuts. There is no set time for the symptoms to happen. 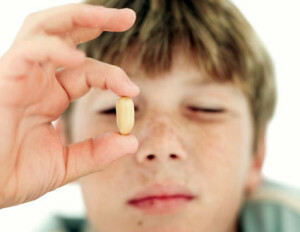 The worst case scenario for a peanut allergy is a symptom called anaphylaxis. The symptoms are somewhat like the other symptoms, but far more intense and severe. They may also include difficulty breathing, low blood pressure, loss of consciousness, and even death, if it goes untreated. Usually a peanut allergy is diagnosed by asking a series of questions, and getting a family history. A person will be asked how they felt after consuming peanuts, or peanut oil. A skin test is usually conducted following the interview. The skin is pricked and a small amount of peanut oil is placed on the skin. If the person experiences bumps or irritation, they most likely have an allergy towards peanuts. 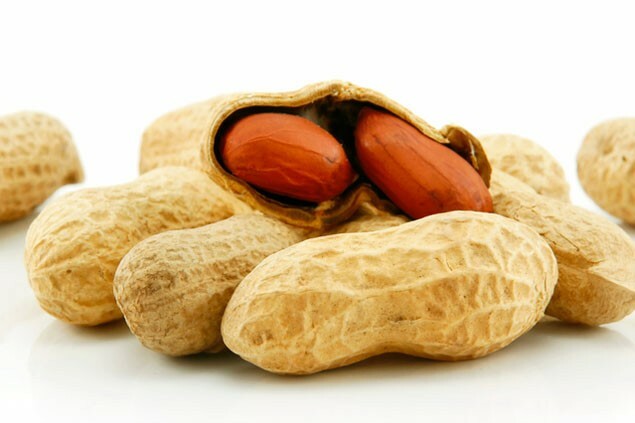 Many times a blood test is also done to see if there are antibodies present that would cause an allergic reaction towards peanuts and peanut oil. A person who has a peanut allergy and accidentally ingests peanuts, may only require an antihistamine if the symptoms are minor. In more severe case, the person may require an epinephrine shot; along with an antihistamine the person should seek immediate help if their symptoms are this severe. Contact 911- or have someone take you to a hospital Even if the person feels relief after the epinephrine, they still need to be monitored for several hours because the symptoms may reoccur hours later.